In Ashland, Ohio, the Van Scoy Hair Clinic is the center of hair restoration treatment for North and Central Ohio. As a family-owned and operated business, the staff at Van Scoy Hair Clinic puts its patients first. The Ashland Van Scoy Hair Clinic has been serving the greater Ashland, Mansfield, Akron-Canton, Cleveland, and Columbus areas for the last forty years. Dennis Van Scoy opened the Van Scoy Hair Clinic in 1969. With the help of Dennis' wife, Sandra, and their sons Scott and Todd, the Van Scoy Hair Clinic has become an Ashland institution. Their state of the art facility offers only the finest in non-medical hair restoration, including hair grafting and Mediceuticals. The Van Scoys and their staff continue to receive education in hair loss treatments so that they can maintain an updated knowledge in hair restoration procedures like the ARTAS robotic hair transplant. The Van Scoy Hair Clinic proudly serves the greater Ashland, Mansfield, Akron-Canton, Cleveland, and Columbus areas. They're currently offering free hair and scalp evaluations to determine the best course of hair restoration for your needs. 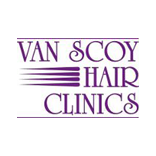 If you wish to learn more about the Van Scoy Hair Clinic in Ashland or to schedule your free consultation, contact us today!